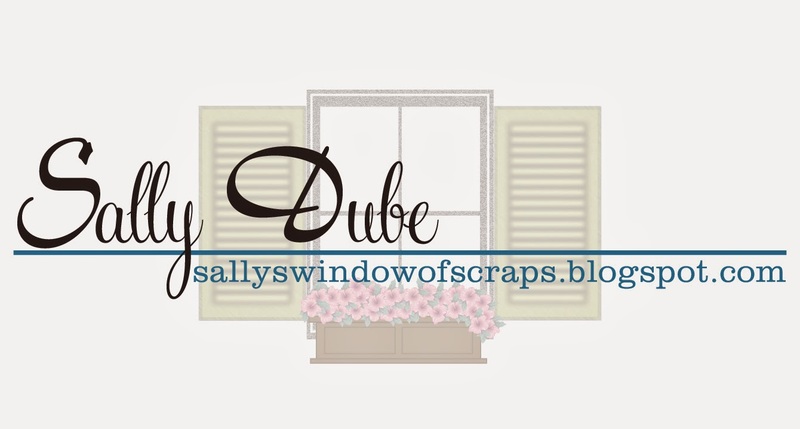 Sally's Window of Scraps . : Dilly Beans!! Happy Wednesday my friends!! Time for a new Sketch Challenge over at Sweet Sketch Wednesday 2 and the Sponsor this week is... Dilly Beans!! I just LOVE the Dilly Beans images created by Meghan Suarez - her style is so unique!! Be sure to stop by her Blog Store and check out her images!! Very FUN!! This week is the last Challenge of the month which means there is an added TWIST!! This week's Twist is we want you to keep us in stitches. Well, actually we want to see some stitching on your projects whether it be needle and thread stitching or faux stitching, show us your Stitches!! Here is this week's Sketch, a real Blast from the Past created for Sweet Sketch Wednesday by Arlana Patten - love this one!! I hope you are having a great time at the shore (gotta admit to feeling some jealously!) Gorgeous card this week. I love what you did to Penny! How fun to have her pop off the card! 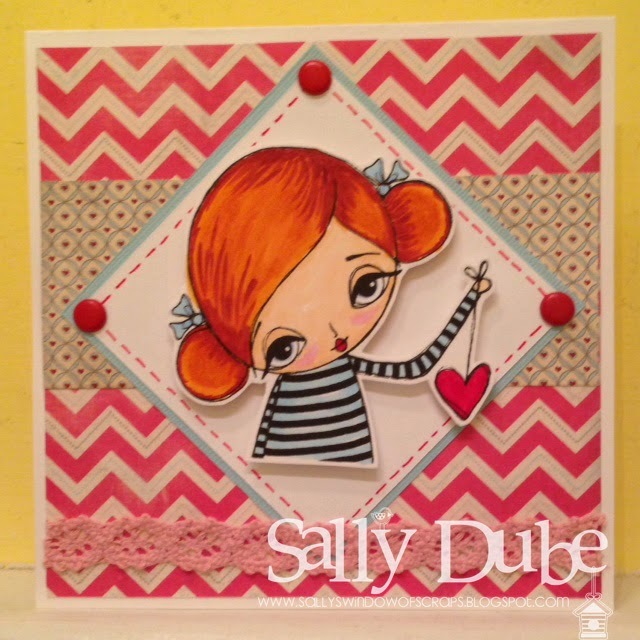 Hi Sally, this is such a cute card I love this image of Penny holding up this heart. I love how you cut your image out which really makes her pop off the page. Such pretty colours and love that pink lace embellishment. Take care have a great week. Absolutely gorgeous card Sally! Love your popped up image and wonderful papers. Such a fun challenge this week. fantastic card, love the papers and how you popped the image. Enjoy the long weekend. Love how you popped your image. Such fun papers and trim too! Super cute card! Hope you are having a wonderful holiday!